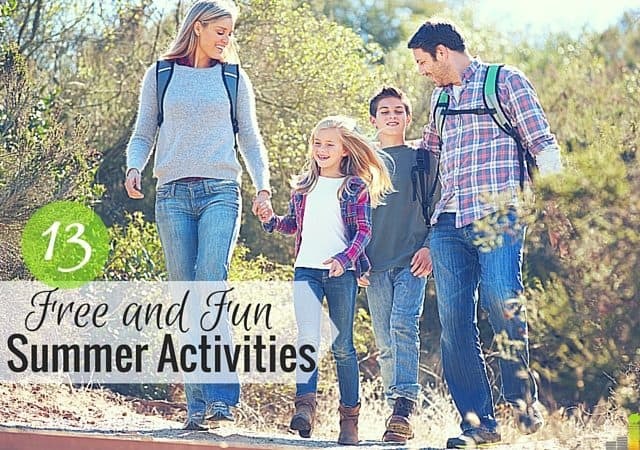 If your family is like ours, you’re always looking for some fun summer activities to keep the kids busy and stretch the budget a little further. 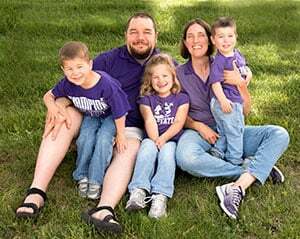 Sure, we could do something like go to a local amusement park or sit in an air-conditioned theater but those activities can add up awfully quick. Instead, we like to look for free summer activities that allow us to spend time together and create memories. You’ll notice that many of these activities involve unplugging and actually getting outside. The last thing we want is to rely on is something digital to entertain us when there is so much to do outside – not to mention that it can provide some great opportunity for exercise. If you’re looking for some fun summer activities for kids, or simply for yourself, hopefully these will get your creative juices flowing. Geocaching. I’ve written about Geocaching before. Think modern day treasure hunt. Geocaching is free, though they do offer a $10 app if you want, but it is not needed by any means. All you need is a GPS and something to replace what you take, that is of equal value and you’re good to go. We have about 150 geocaches in Omaha, so I’m sure there are plenty in your area. If you’re looking for a fun afternoon, give Geocaching a try. Go for a hike. This is pretty self-explanatory. Depending on where you live, there could be many hiking options. Go to the Library. Many libraries offer free summer activities for kids from reading times to movies. It varies by area, of course, but could provide for a fun afternoon or two. Go to the Farmer’s Market. This is one of our favorite summer activities. Our Farmer’s Market is in the older downtown district and is fun to walk around. You can buy a variety of things if you like, but we often just go to walk around and people watch. Go to the park. This can be any old neighborhood park to let the kids play or you can go for a walk to find a new park; you can even check out a nearby state park. We do the latter a number of times throughout the summer as many have different historical exhibits or displays. The best part – they’re often free or very cheap. Go to a concert. I’m not talking about a rock concert, but one put on by your city. There are a variety of summer concert series here in Omaha that offer free music to enjoy. Some will sell food, but we often take our own and have done it both with and without the kids. Go to the museum. Museums, well most at least, usually have a cost associated with them. But, in the summer, they know many parents are looking for ways to keep their kids busy and offer free admission days – you can’t beat that! Go to the lake. Even in land locked Nebraska we have plenty of lakes to choose from. Instead of going to the pool and paying to fight the crowds, find a local lake and make a day of it. Go on a family bike ride. This is one of our favorite fun summer activities, especially as the older ones are riding bikes now. You can either ride around the neighborhood or find a good trail to explore. Other than the gas to get there it’s completely free. Go see free fireworks. I used to love shooting off fireworks, not so much anymore. Not only is it exponentially safer, but it is usually free. You can even take a picnic dinner and make an evening of it. Have a bonfire. This is something we really enjoy in our family. We just bring out the fire pit and enjoy a nice craft beer at the end of the day. Don’t have a fire pit? You can get the same thing with a bonfire – throw in some s’mores while you’re at it. Watch a movie in your backyard. We’ll do this if it’s not too hot. Take your DVD player or laptop outside and fire up Netflix or Amazon, put up a white sheet and you’ve got your own outdoor theater. You can take a laptop outside to do the same thing by using the best places to watch free streaming movies online and not spend a thing. 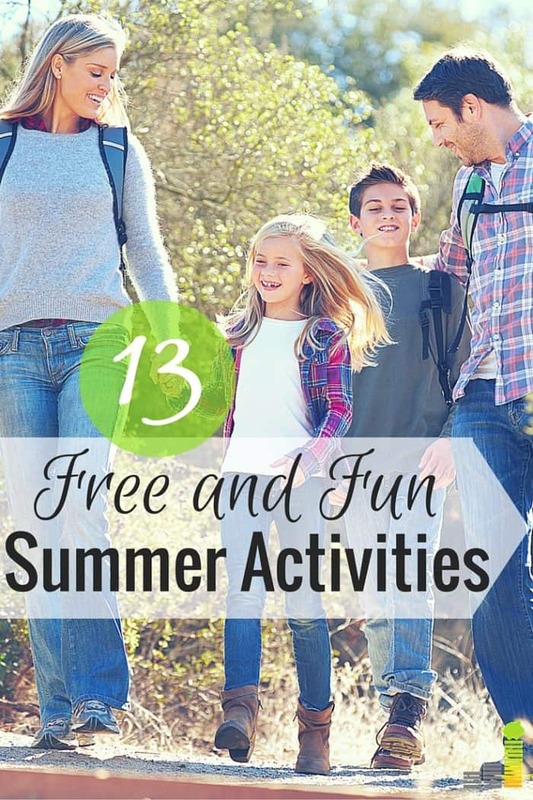 This list only scratches the surface when it comes to fun summer activities. Depending on where you live and what your family situation is there are many more possibilities. The best thing is that many of them are free. If you’re looking to cut expenses entertainment is one of the easiest ways to do it. What are some of your favorite fun summer activities? What other things you typically do in the summer? How much are the amusement parks where you live? We do almost all of these things during summer. It helps to live in an area with a lot of nice parks and recreational areas. Yep, it definitely does help! This one is a bit odd, but a lot of fun. In my city, there are parking decks with free weekend parking. We meet friends on the top level of the deck, set up a tailgate style picnic (no grills), and watch the sunset and eat. It’s sort of like family friendly roof top dining (where you have to bring your own food and table). We tried to set up a movie up there one time, but the generator only had enough juice for about 45 minutes. Our favorite free summer activity is going to the beach, which I’m sure is a huge surprise. 🙂 We also enjoy bike rides and our fire pit too. I love farmer’s markets, although I normally don’t walk away empty-handed! There are numerous free festivals in my area during the summer. I enjoy checking those out. We do as well Jason – can’t beat free. I cracked up over “Go for a hike. This is pretty self-explanatory” ;). It totally is and it’s definitely our favorite summer (or any season really) activity. We’ve also been making a tour of our local museums on their free days–most do offer some sort of free admission at some point. Walking around farmer’s markets is another good one and we can take Frugal Hound, which is an added bonus. “Go for a Hike” is better than being told to “Take a Hike” 🙂 The beach is our favorite free summer activity. Pack a lunch and the sun screen and we are set. Ha ha, very true Brian! 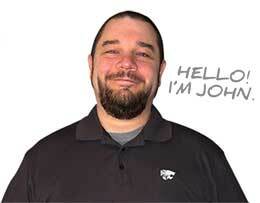 These are some great ideas John! I did a lot of these growing up and I still do some of them today to keep myself entertained too. Thanks Kayla! Yep, we still do a lot of them as well. You can’t beat free entertainment.